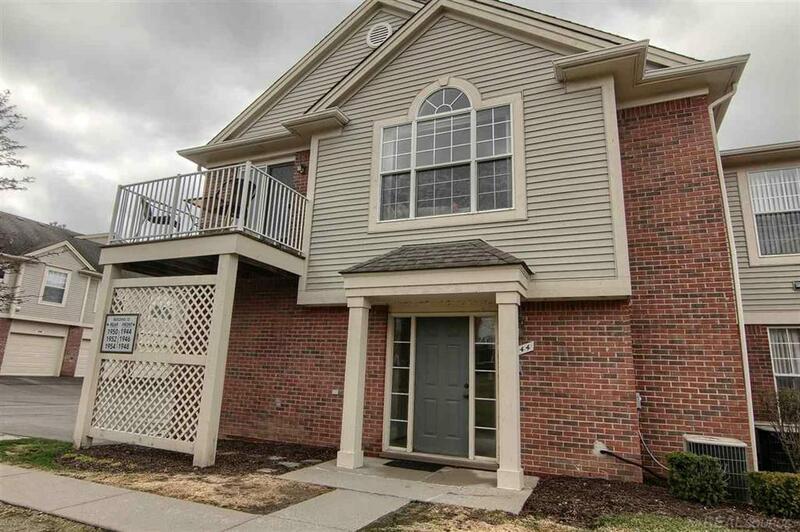 Do not miss your opportunity for this gorgeous raised ranch condo, located in Rochester, in the award winning Rochester Community School District. Enter the spacious foyer with direct access to the 1 car attached garage, with stairway leading up to the great room. Entering the great room you will immediately notice the open concept layout, featuring cathedral ceilings, remarkable window flooding the room with natural light, and breakfast nook giving direct access to the exterior balcony! Kitchen complimented with beautiful hardwood floors, TONS of cabinetry for storage, and all appliances! Finishing off the home is the master suite with walk-in closet, and stand up shower, along with an additional generously sized bedroom with large closet, full bathroom, and convenient main level laundry room. Make this home yours before it's too late!